The concept of this painting is to show the beauty of an object that is normally not considered beautiful, to break the boundary of beauty and ugliness. The reason I chose a sink in an art studio is to reflect the daily life of an artist/art student. The colors and paint drips represent who I am. 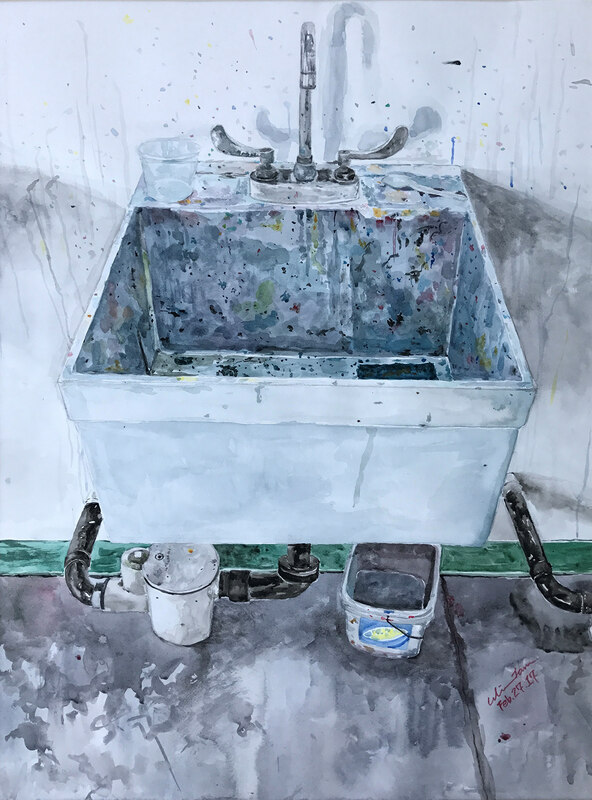 The old sink has been touched by numerous artists, it is not only an object for artists to clean up their tools, but also an icon that is immersed in art, and eventually became a piece of art.